LEXINGTON, Ky. (Sept. 14, 2018) — The Ohio Valley Regional Emmy Awards were presented Aug. 18, in Lawrenceburg, Indiana. 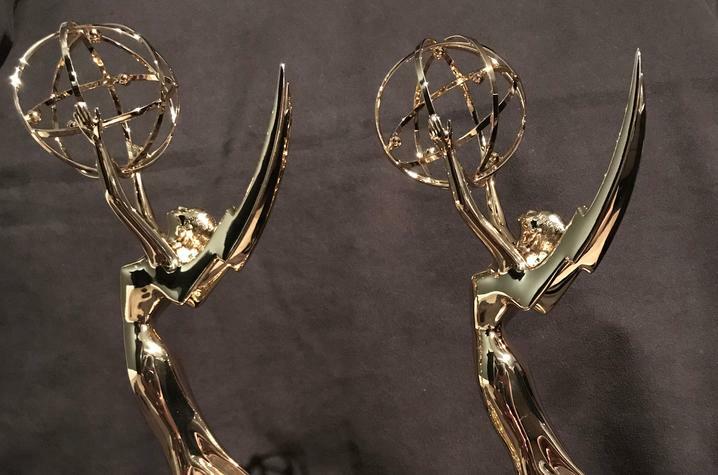 There were 12 Emmy winners from the Lexington area, including three Emmys involving students, faculty and staff of the University of Kentucky College of Fine Arts. KET's broadcast of "It's a Grand Night for Singing: 25th Anniversary," won two Emmy awards in the Art/Entertainment program category and the Audio category. In addition, "Belle Brezing and the Gilded Age of the Bluegrass," which had a production and crew connection to the UK Department of Theatre and Dance, won the Documentary category. The 25th anniversary production of "It’s a Grand Night for Singing!" was recorded live at the Singletary Center for the Arts in 2016. 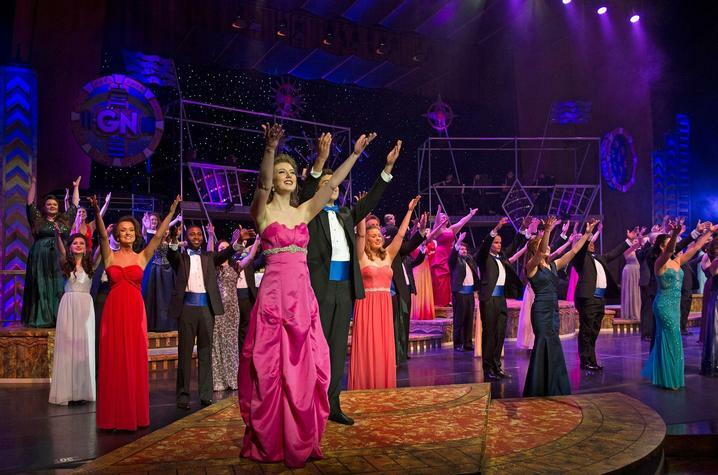 The beloved summer musical revue, presented annually by UK Opera Theatre and produced by Everett McCorvey, featured numerous hits from such popular Broadway shows as "Hairspray," "West Side Story," Fiddler on the Roof" and "Rent." The program also included special appearances by Ronan Tynan, of The Irish Tenors fame, and UK alumnus Gregory Turay. KET's production of "It’s a Grand Night for Singing!" was produced by Nick Helton. The acclaimed UK Opera Theatre program is part of the School of Music at UK College of Fine Arts. The school, currently celebrating its 100th anniversary, has garnered national recognition for high-caliber education in opera, choral and instrumental music performance, as well as music education, composition, music therapy, theory and music history. 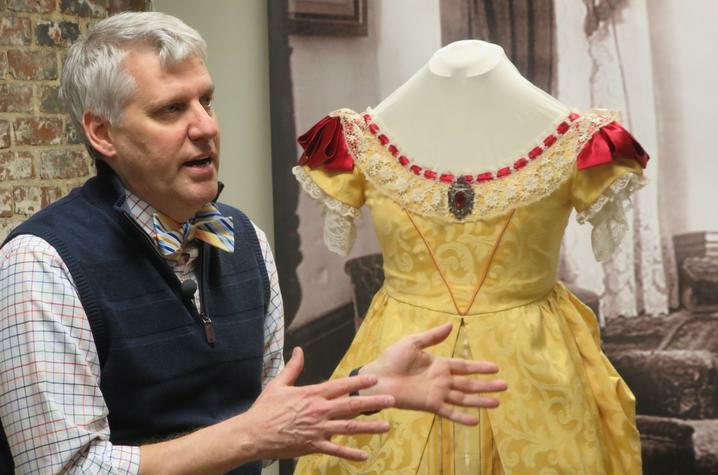 "Belle Brezing and the Gilded Age of the Bluegrass," involved UK's own Nelson Fields, professor of theatre, who served as the documentary’s costume designer and an associate producer. The production showcased a Lexington icon who is controversially remembered and celebrated, the notorious madam Belle Brezing. The documentary was pulled together using interviews and information from authors and historians, as well as archival images from Brezing's life housed in a collection at UK Special Collections Research Center. The Department of Theatre and Dance at UK College of Fine Arts has played an active role in the performance scene in Central Kentucky for more than 100 years. Students in the program get hands-on training and one-on-one mentorship from a renowned professional theatre faculty. The liberal arts focus of their bachelor's degree program is coupled with ongoing career counseling to ensure a successful transition from campus to professional life.